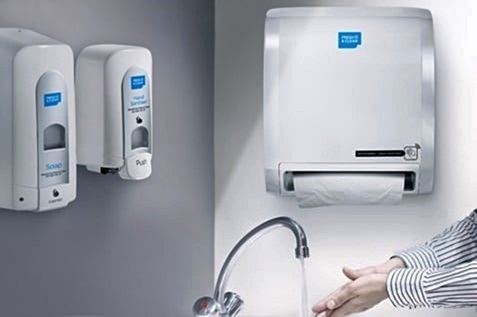 Home » Greenroom » Hand Hygiene and Drying: Are Paper Towels an Efficient Option? Hand Hygiene and Drying: Are Paper Towels an Efficient Option? The health standards practised in the workplace determine the extent to which the employees are protected from infections and diseases. A company that does not pay serious attention to its washrooms creates the right environment for an infection to quickly spread among the employees. The result is usually a series of calls from the employees to inform the managers they can’t come to work due to illnesses. Now imagine if a half of the employees fell ill at the same time. That would be a serious issue, wouldn’t it? The advocacy for regular hand washing has been widely promoted by the health experts. In fact, it’s already widely acknowledged that proper hand washing can protect you from common infections and diseases like the flu and even common cold. Everybody thinks they are washing their hands properly. Water, soap, scrub and rinse, right? Not exactly. A big part of the hand washing process is being overlooked: hand drying. Hand drying completes the much-advocated habit of regular hand washing. It is the final act that ultimately prevents the spread of bacteria after hand washing. Many people overlook the need to properly dry their hands. They end up walking out of the washroom with some bacteria still clinging to the moisture of their inner palms. Properly drying your hands after washing determines how safe you actually are from those germs and bacteria you do not want getting into your system. Drying hands after properly washing them is particularly effective against the much-dreaded salmonella and E.coli bacteria. Wet hands provide a more conducive environment for these harmful bacteria, so it is necessary to ensure that the hands are properly dried after washing. Did you know that the hands can accommodate as much as 200 million bacteria after a visit to the toilet? These studies have also indicated that the bacteria will be transferred onto as many as 16 other objects during the course of the day. The common utilities used in public places for hand drying are the paper towel and the electric hand dryers. Most people would go for the convenience of an electric hand dryer, but let’s take a much closer look at paper towels. How effective are they in drying and keeping our hands clean and germ-free at the same time? Paper towels have a very high level of absorbency so it can easily remove residual water from your hands at a very short time. To be more specific, it would only take 10 seconds to reduce residual water from the hands to 4% and 15 seconds to reduce it to 1%. Studies have found that paper towels can help reduce the numbers of bacteria on the finger pads and on the palms of the hands by an average of 76% and 77% respectively. Health experts believe that the main reason for this is because paper towels, when used for drying hands, create friction. This friction becomes the key component in paper towels’ hand drying efficiency as it helps physically remove bacteria that remain on the hands after washing. Obviously, this prevents further contamination. In previous studies, paper towels that were used to dry hands went through microbiological testing and the results show that most of the bacteria were transferred to the paper towels. Paper towels can prevent cross-contamination. For environments where containing infections is of critical importance, paper towels just might be your best option. In fact, studies have revealed that most users prefer using paper towels for hand drying because they see it as their best, germ-free option. 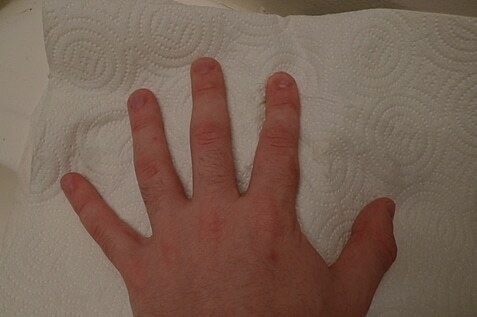 However, when it comes to using paper towels, it is important to use the right technique. It is a mistake to wash your hands first before tapping on the dispenser to release the quantity of paper towel you need to dry your hands. Touching the dispenser after washing your hands will lead to more contamination because you never know how many hands have previously touched the same dispenser. What you should do is tap on the dispenser before proceeding to dry your hands. If you cannot find any paper towels, you should ensure your hands are properly washed before you use the electronic hand dryers which will take a longer time to dry your hands. You should always keep a small bottle of alcohol-based hand sanitizer close to you for additional protection. We are always at risk of being infected. Our immune system continues the raging battle to prevent different bacteria from taking over and cause illnesses. This is why doing everything possible to keep employees protected from harmful germs should be a major concern in the workplace. Keeping the workplace properly sanitised is important to sustain the good health of the employees. Proper hand washing should be encouraged after visiting the washrooms, kitchen, restaurants, using the computer etc. Handwashing facilities should be provided at all the entry and exit points in the workplace. At Fresh & Clean, we have the products that will help you provide your employees with the everything needed to wash and dry their hands regularly. Our range of products is suitable for all kinds of workplace environments. Call us today for a quick consultation to identify the best product for your business environment.